It’s confession time. I don’t “get’ L’Artisan Parfumeur Traversée du Bosphore. I read reviews from people that I admire and I wonder, “Are we smelling the same thing?” I don’t get anything that others’ describe when I’m wearing this perfume. And I’ve sampled it many times throughout the years…and I still don’t “get” it. Another thing that is that it smells nothing like the Bosphorous so that throws me an olfactory curve-ball. I’m not looking for a literal interpretation but this perfume doesn’t remind me of Istanbul even a little. It’s not a bad perfume, in fact, I would go as far to say that it is rather enjoyable to wear, it’s just that the inspiration and even the reviews I read don’t really match up to what I experience. This disconnect frustrates me. 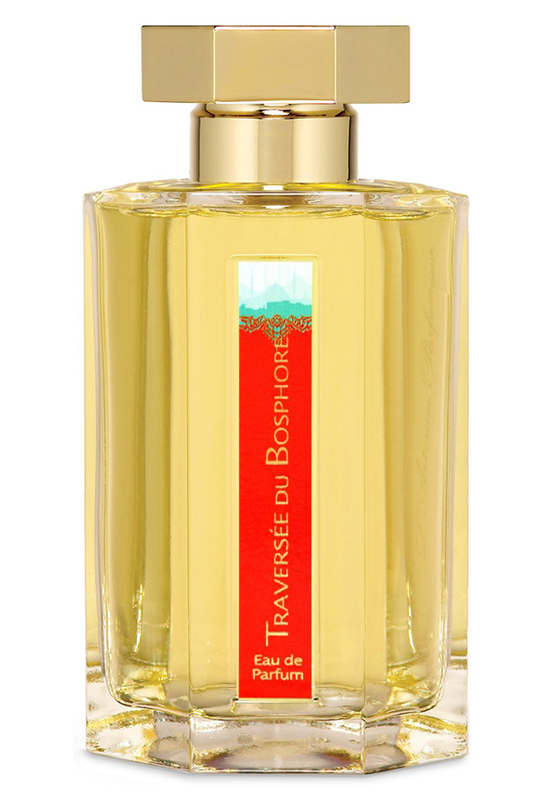 Traversée du Bosphore opens like juicy cherries and sugar cookie dough with a hint of Play-Doh. It’s all sugary, powdery cherry and almonds on me. OK, maybe there’s some vanilla and benzoin too. It wears as sweet almond cookies and cherries on me for most of the wear until it dries down to vanilla marshmallows in a suede purse. Overall, it’s a good fragrance, particularly if you like gourmands with some complexity. But, I still don’t get the Bosphorous connection¹ (OK, there’s Turkish Delights but it really could be a few other desserts as well) or even the note list in comparison to what it smells like on my skin. My kvetching aside, this is one to try on your skin. This is one of those “results will vary” fragrances and who knows what you’ll personally end up with. And it’s a good fragrance, even though I feel it’s disconnected, it does smell good on. I don’t have the best history with Turkish Delight perfumes, so if this one is in that category, it’s good for me. Give Traversée du Bosphore a try if you like Turkish Delight fragrances or sophisticated gourmands. Or if you like perfumes like Neela Vermeire Trayee, Caron L’Accord 119, Serge Lutens Rahat Loukoum, Montale Sweet Oriental Dream, Dior Hypnotic Poison and/or DSH Perfumes Guimauve de Soie. The 3.4 oz bottle retails for $165 at Beautyhabit. And sometimes you can find it at discounters like Fragrancenet. Victoria’s Final EauPINION – Cherries and powdery suede. I still don’t get it. ¹In my opinion, Istanbul smells like a mix of Serge Lutens Muscs Koublai Khan, Serge Lutens Tubereuse Criminelle (moth balls) and cucumbers. There’s much more going on than sweets. *Sample purchased by me. Product pic from Fragrantica.Sir Lawrence Alma Tadema painting from fineartamerica.com. Post contains affiliate links. Thanks! I couldn’t agree more! Maybe you will feel better if those of us who just don’t “get” it either pipe up. I tried to wear it and I tried… I also smell cherries and almond, not Istanbul. Always glad others enjoy something, though!! It’s not a bad fragrance at all but not what I expected at all. It’s really just cherries and almonds on my skin!